The French Reformed Church (Eglise Réformée de France) was founded in 1938 ; its origins go back to the XVIth century to the reformed Churches which were set up by Jean Calvin, it has succeeded in surviving until the present day. At present, it has more than 350,000 members and belongs to the French Protestant Federation (Fédération Protestante de France). National Synod of the Reformed Churches in France - 1598 © S.H.P.F. France was influenced by the ideas of Luther and Zwingli from 1520 onwards – this was made possible by the atmosphere of intellectual freedom which was part of the Renaissance. Members of the court of François 1st were quite strongly attracted by this new approach. However, repressive measures were taken as soon as 1523 and the situation worsened after the “notices incident” (“placards”) in 1535. This did not prevent the Protestants from establishing their own Churches and the first one was in Meaux. From Geneva Jean Calvin (1509-1564) sent out instructions for setting up reformed Churches in France. The first national synod was held in Paris in 1559 ; a confession of faith and ecclesiastical rules for the organization of the church were voted which were to be respected by the reformed Protestants of France for the next two hundred and fifty years. In the kingdom of France nearly all Protestants were reformed : they were about 2 million in number. The Wars of Religion began in 1562 and ended with the edict of Nantes in 1598 : it was a period of warfare, destruction and massacre. With the edict, religious harmony returned to France ; although it allowed a certain amount of protection for the protestants and the possibility of employment in all walks of life, it did, however, limit the number of places where protestants could hold their services, that is to say only in towns or villages where this had already been done in 1577, in places where services had been held in the two years leading up the edict, in two communes in each bailiwick and in the houses of wealthy protestant noblemen ; this situation affected the north of France more than the south, where there had previously been more places of worship. After the assassination of Henri IV in 1610, the reformed Churches still managed to survive during the reign of Louis XIII in spite of another period of religious wars. However, from 1660 onwards the edict of Nantes was applied much more strictly and even modified by the king. Places of worship were done away with. From 1680 onwards the repression worsened until king Louis XIV ordered the revocation of the edict of Nantes in 1685 by the edict of Fontainebleau. From then on there were no more reformed Churches apart from the secret assemblies held in the Désert – this heroic period lasted until 1760. And it was only with the constitution of 1791 that freedom of worship was properly established. 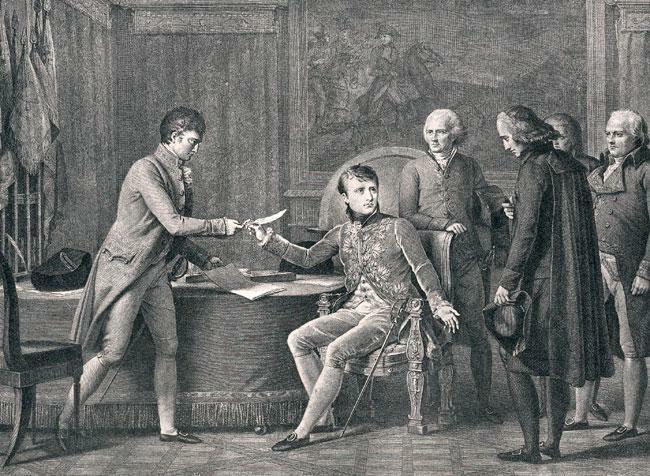 In April 1802, Napoleon Bonaparte, the first consul, established the law of 18th germinal in year X (the organic Articles dealing with protestant acts of worship) which officially recognized the reformed Churches. Each Church was limited to 6,000 protestants and was ruled by a council called a consistory, which consisted of pastors and from ten to twelve leading citizens. The pastors were appointed and paid by the State. 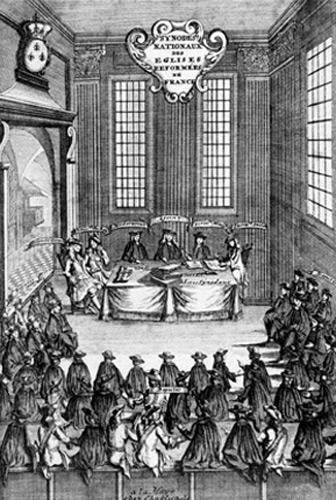 Each reformed Church (known as a consistorial Church) continued to lead an independent existence because in the organic Articles there was no mention of any synod. When Napoleon became emperor he gave catholic churches and disused convent chapels to the reformed Churches. This consistorial policy continued until the separation of the Church and State in 1905 ; during the XIXth century other free Churches emerged, who were independent from the State. During the XIXth century, various different Revival movements were introduced to France by pastors who had come from Geneva, England or Germany ; later they developed into new Churches (Methodist Churches) but some also came into being within the existing reformed Churches. This was because they wanted to react against the formal and dry approach of certain communities – on the contrary they aimed at reviving the Church and bringing a renewal of piety. Two main doctrines could be found in the reformed Churches : the orthodox or evangelical doctrine consisted of those who wanted to return to Calvin’s doctrines – they were opposed to the liberals, who advocated a scientific study of the Bible and were also quite close to a rationalist approach. No agreement could be found between these two tendencies at the general synod in 1872, although the reformed Churches did not actually split up until 1906 when three Church unions were set up. The majority of the Churches who were members of the Union of evangelical Churches (the orthodox tendency). All those who belonged to the Union of reformed Churches (the liberal tendency). Most of the free Churches (who were independent from the liberal tendency). Most of the Methodist Churches. 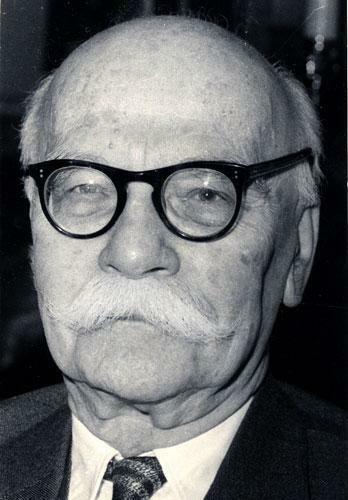 The theology of the ERF can be summarized in the Declaration of faith of 1938, which was read out loud at the beginning of each synod and at the ordination of each pastor. Glory belongs to God alone : nothing is sacred or absolute apart from God. Grace alone can save man, regardless of his worth ; it is God’s free and original gift to humanity. As God thus trusts man, he becomes responsible for his acts. Only the Bible is recognized as having real authority : it has a message for us today because it has been interpreted by the various different Churches according to their beliefs. The Churches must always be open to reform : they gather together all those who believe in the God revealed by Jesus Christ in the act of baptism and in the Last Supper. These institutions do not act as mediators between believers and God. They are constantly evolving according to the rhythm of human progress. Universal priesthood : each baptized believer is on the same level as others within the Church, whether he be a layman or a pastor ; indeed, the latter is not in a particularly privileged position – it is just because of his theological training that he is in a position to lead the community. Every Church member has the duty to witness to his faith and be committed to playing a responsible role in the world. The French Reformed Church is the Church with the largest number of members although other Protestant Churches do exist in France – there are about 110 000 known families, about 350 000 people. Nearly 500 worship associations have been created, they serve more than 850 places where services are held with varying regularity. 300 pastors work in parishes whereas 60 others have another ministries, for example: teaching theology, military or hospital chaplains, the administration of the Church, communication or social work. Around 70 pastors are seconded to works of charity and Protestant movements. About 30% of the pastors are women and there are likely to be more. Most pastors are married (85%). 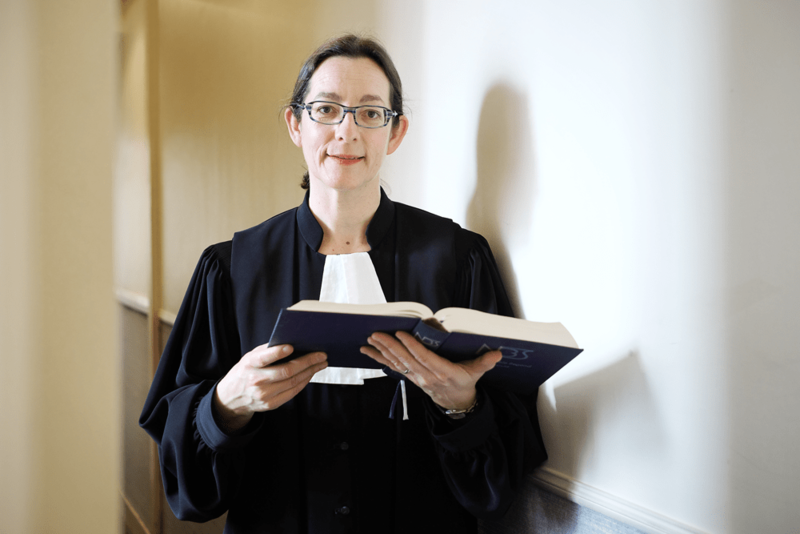 There is a permanent Lutheran-Reformed Council made up of the French Reformed Church, the Lutheran Evangelical Church and the Union of Protestant Churches in Alsace and Lorraine. This Council deals with European agreements at the French level, for example the recognition of different ministries and the training of pastors. 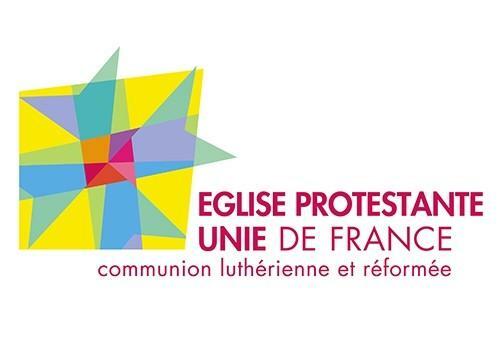 The French Protestant Church is a member of the French Protestant Federation and also the World Alliance of Reformed Churches and the Ecumenical Council of Churches. After a long period of preparation which began with the national of Sochaux in 1997, the French Reformed Church finally united with the French Lutheran Church to form one Church: ‘the French United Protestant Church, Lutheran and Reformed Communion’. This became official on the 1st January 2013. The first national synod of the united Church took place from 8 – 12 May 2013 in Lyon. National institutions are common to both Churches and there is one body of pastors for both Churches but local parishes remain either Reformed or Lutheran.